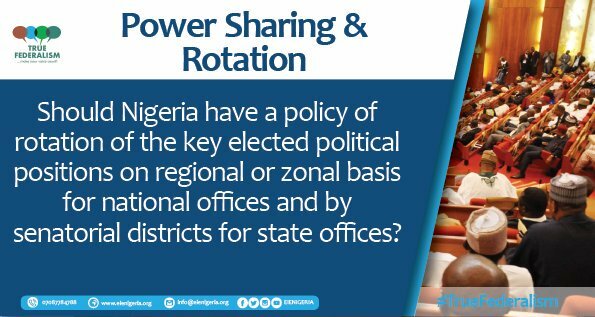 But for federal character principle which is somewhat enshrined in the 1999 constitution, other forms of power rotation agreements practiced in Nigeria, especially amongst political parties are mostly unwritten (otherwise gentlemanly) from federal to state levels and sometimes up-to local government as well as community leadership. The issues are the same in terms of compliance or betrayal of the"agreed trust". As the 2019 general elections inch closer, the battle of who gets what, whether rightly or wrongly at the expense of the other, becomes more intense and intriguing. In the case of Delta South Senatorial position, horse race is between Ijaw, Itsekiri and Isoko. Interestingly, the first letter of the three tribes bounded together politically and geographically, starts with (I). It's therefore no surprise they are often referred to as the 3Is for political convenience. By June 2019, it will be 16 years James Manager, an Ijaw with Isoko bloodline has represented Delta South in the Senate, a representation the Itsekiri and vast majority of Isokos see as strange as well as unacceptable. The Itsekiri leadership under the auspices of Warri Council of Chiefs, with the mandate of the Olu of Warri, Ogiame Ikenwoli, on Thursday September 6, began a journey to correct perceived injustice the representation of James Manager may have done to the Itsekiri, Isoko people and even a section of the Ijaws, who view the prolonged stay of James Manager at the Senate as limitation to their individual political growth. The Itsekiri delegation during the visit, posited that power rotation amongst the three tribes date back to the First Republic, with late Justice Franklin Atake(an Itsekiri) having a shot at the Senate. According to Chief Brown Mene who spoke on behalf of the Itsekiri leadership, the expiration of Justice Atake's tenure, was followed by those of Chief Edwin Kiagbodo Clark and Chief Francis S. Okpozo of blessed memory (both of whom didn't stay long at the Senate as a result of military coup) and most recently, Mrs. Stella Omu(an Isoko) between 1999 and 2003. It must be stated that since Stella Omu honourably bowed out after four years at the Senate, James Manager took over after electioneering exercise and remained at the Senate till date. For the records, Isoko Nation solely has Isoko North and South Local Government Areas, with reasonable presence in Ndokwa East, Delta State and Bayelsa State. While Itsekiri dominates Warri South, Warri South -West and Warri North Local Government Areas, apart from having presence in some communities in Delta Central Senatorial district as well as Edo State. One thing that is clear from the foregoing is that a titanic battle is in the offing as the race over who becomes Delta South Senator in 2019 hots up, just as it is also apparent that the Ijaw Nation has developed cold feet towards the purported Delta South power rotation agreement, unlike their Isoko and Itsekiri neighbours. While Isoko Nation through the instrument of Isoko Development Union IDU bought into the Itsekiri Chiefs' position that it was the turn of Itsekiri Nation (irrespective of political party ) to produce Delta South Senator in 2019, the Ijaw Council of Elders, Delta State like the Ijaw Youth Council, IYC think otherwise. The Ijaw Council of Elders led by Chief Bare Etolor in their position paper presented to Warri Council of Chiefs Friday September 14, technically demanded that the power rotation arrangement should commence in 2023 "because the processes leading to the 2019 elections" are 80 % completed. The Ijaw leadership while claiming ignorance of any agreed power rotation for Delta South Senatorial Seat in the past (especially without documentation) went ahead to demand that power rotation should be given "human face" as it affects Warri Federal Constituency Seat as well as Chairmanship of Warri South -West and Warri North are concerned. They diplomatically implied that the contest for Delta South Seat in 2019 be thrown open. Their absolute control of Patani, Bomadi and Burutu Local Government Areas as well as Ijaw sizeable population in Warri South -West and Warri North Local Government Areas,may have informed their confidence. While Prince Yemi Emiko contested as APC flagbearer in 2015 for the Senatorial Seat, the Ijaw Council of Elders, told their Itsekiri counterparts during the jaw-jaw that the reason James Manager remained in the Senate for 16 years, was because Itsekiris didn't show interest to contest for the position.